Being a mom is hard. Being a young mom has unique challenges. 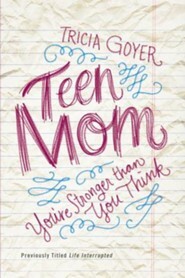 Teen Mom speaks to the heart of young mothers, sharing insight, encouragement, and practical advice for every teen mom who strives to create a better life for herself and her child. 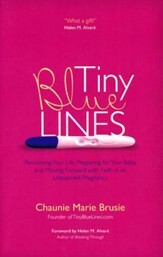 Everything changes the day you discover you're going to be a mom. It's not just yourself that you think aboutyou have a child to care for, too. While you wouldn't trade your child for the world, some days are just hard. 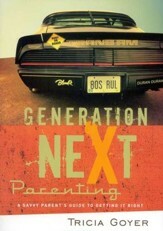 Baby-daddy drama, dealing with your parents, and worries about school, work, and your future slam you. Your friends can't relate to your little family, and you wonder if God has turned His back on you, too. 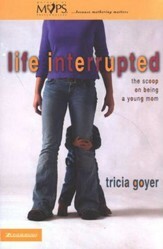 Tricia Goyer understands. A mom at age 17, Tricia remembers what it felt like to carry the weight of the world on your shoulders. She's also been the coordinator of a teen mom support group for over twelve years, and she's cheered on many young momsfrom all walks of lifethrough their journey. 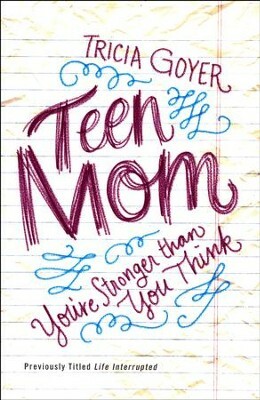 In Teen Mom, Tricia pours out her heart and shares advice for the hard things you face. She also longs to provide encouragement, reminding you that you can be the mom your child deservesnot in your own strength, but in the strength God provides. 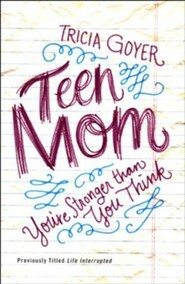 I'm the author/artist and I want to review Teen Mom: You're Stronger than you Think.